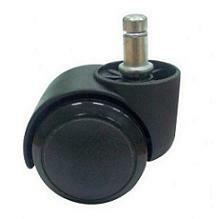 Foot glides replace casters where rolling action is not desired. Fit all ALVIN chairs and stools except DC204. Sold as a set of five.